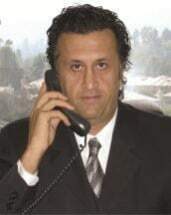 Amir Soleimanian has over a decade of experience in the legal system in California. He takes a personal interest in each case, making absolutely sure that every single one of our clients is going through the right process to get them the best result possible. Mr. Ticket knows you don't want to waste your time in court, so our firm takes the steps to resolve your traffic citation as quickly as possible. Mr. Ticket has received awards for providing honest and professional services to our wide range of clientele. In the more than 10 years that Amir Soleimanian "Mr. Ticket" has been practicing misdemeanor/ traffic law defense, he has worked on 10,000 cases. Our firm's experience and service has earned us awards, such as the 10 Best Award for Client Satisfaction in California with the American Institute of DUI/DWI Attorneys.